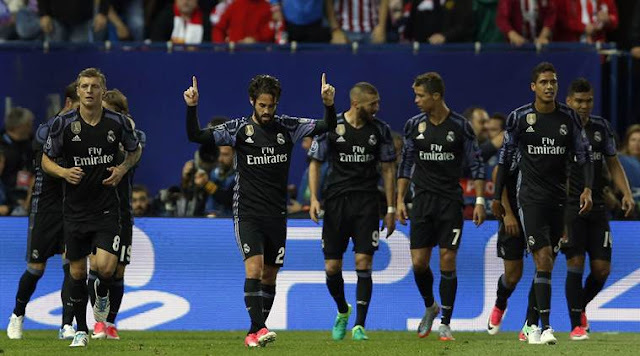 Defending champions, Real Madrid have made it to the finals of the UEFA Champions League courtesy of a 4-2 on aggregate victory over fierce rivals, Atletico Madrid. two early goals through Saul Niguez’s header and a cool finish from the penalty spot by Antoine Griezmann. But Real Madrid grabbed an important away goal through Isco’s rebound after Toni Kroos’ shot. The reigning champions will now face Juventus in the finals at Cardiff on Saturday, June 3rd. A win for the Los Blancos will make them the first team to win the Champions League twice in row.